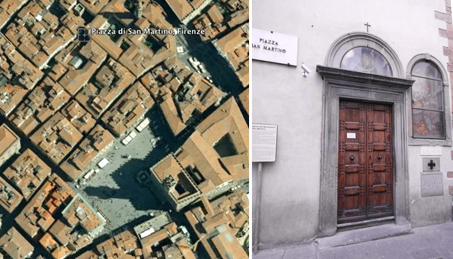 The Buonomini of San Martino take care of poor people in Florence since 1442. The founder, Antonino Pierozzi, summoned twelve men and he entrusted to them the task of assisting the shame-faced poor that they were political opponents of Cosimo de 'Medici. Even today the Congregation lives with the same simple rules of 570 years ago and, trusting to Providence, gets the aid of the Florentines and caring people. When Buonomini's finances run out, they turns on a small light outside the chapel (St. Martin). Even today, all bids that arrive in the Congregation are devoted to charity and Buonomini maintain the strictest confidentiality to protect the dignity of the shame-faced poor. Sunday and Friday afternoon the chapel is close.